Colombo suffers from an unusual dilemma. 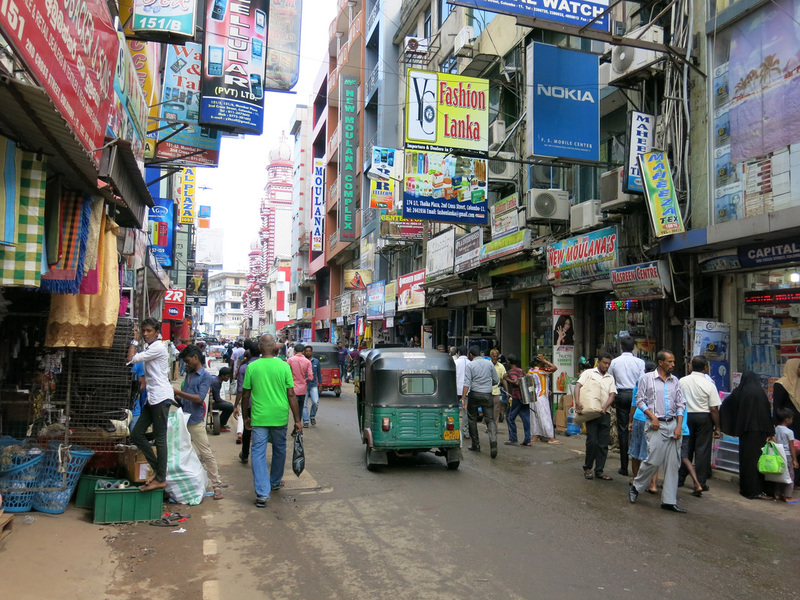 It may be Southeast and South Asia's easiest city to navigate (not counting Singapore). Finished, continuously paved, obstruction free sidewalks line wide boulevards. Traffic seems to move with relative ease - although during rush hour and at certain intersections there's a considerable backup. The sites are well connected and easily reachable…or if there were sites they'd be easily reachable. There's the dilemma. A city with fantastic infrastructure but little to go and see. What to do? Where to go? It's difficult to plan a self guided walking tour without both a starting and an ending point. The research I did revealed several places to eat, drink, and enjoy the sun. 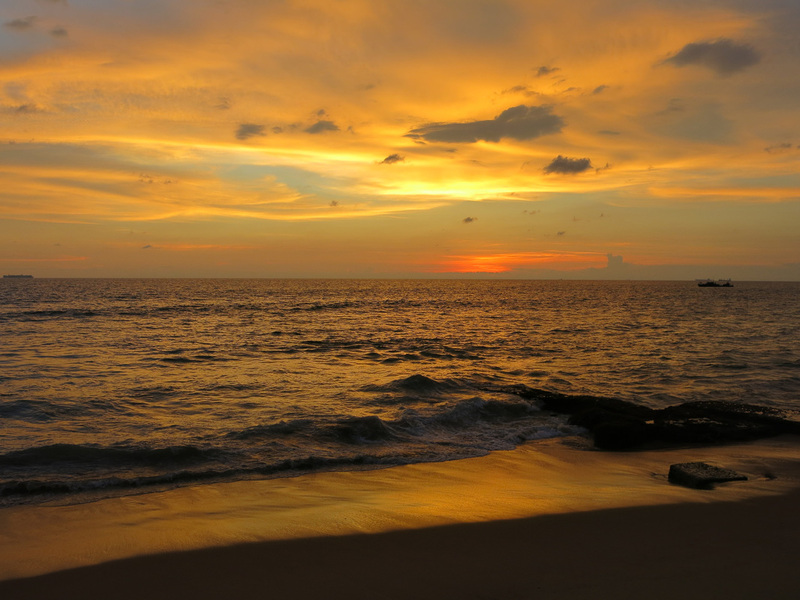 Rather than wander, I stopped the searching and embraced a leisure lifestyle for my two days in Colombo. The drawback would be limited interaction with locals as I hobnobbed between hotel lounges and cafés although at least I'd be putting the solid infrastructure to good use. 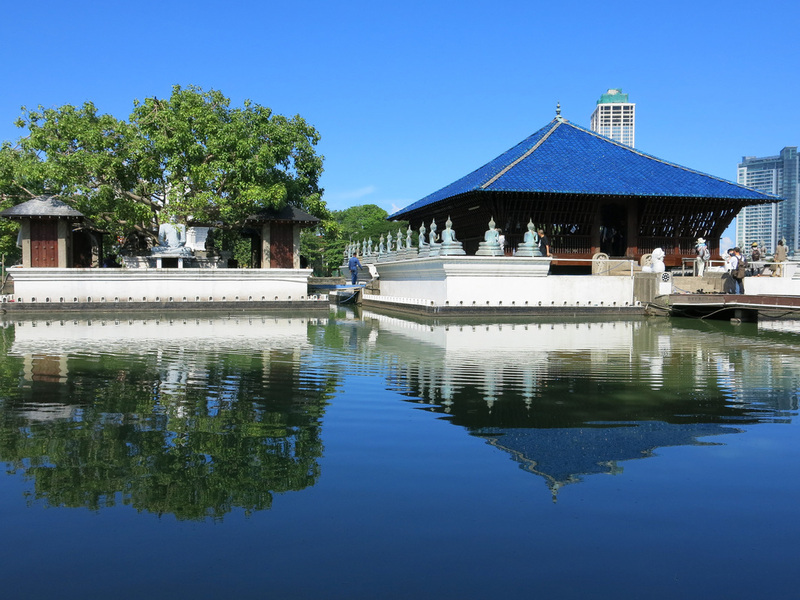 One of Sri Lanka's former names was Serendip…which centuries later became the basis for the English word serendipity. I hoped my walk around the city would yield a few pleasant surprises. 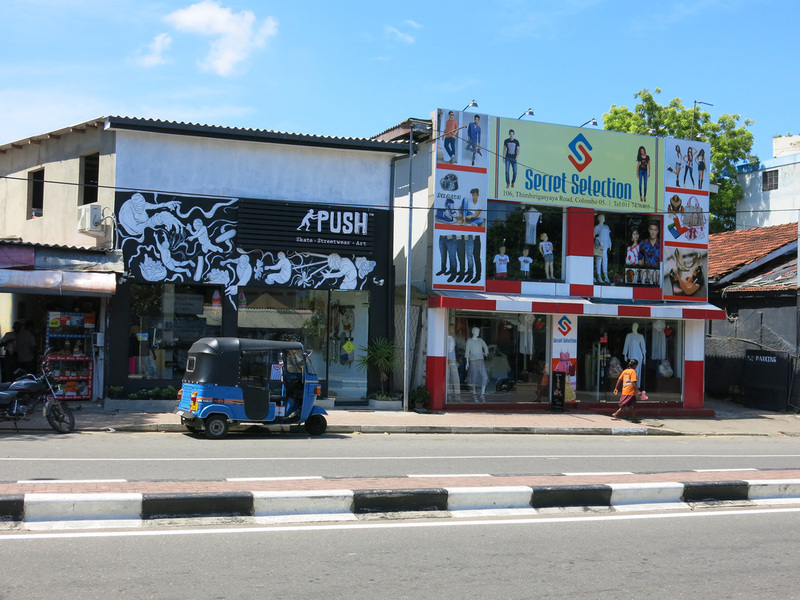 I spent the first morning of arrival walking to a few sites, then when I discovered most of the stores were closed on Sunday, I headed south to Galle. 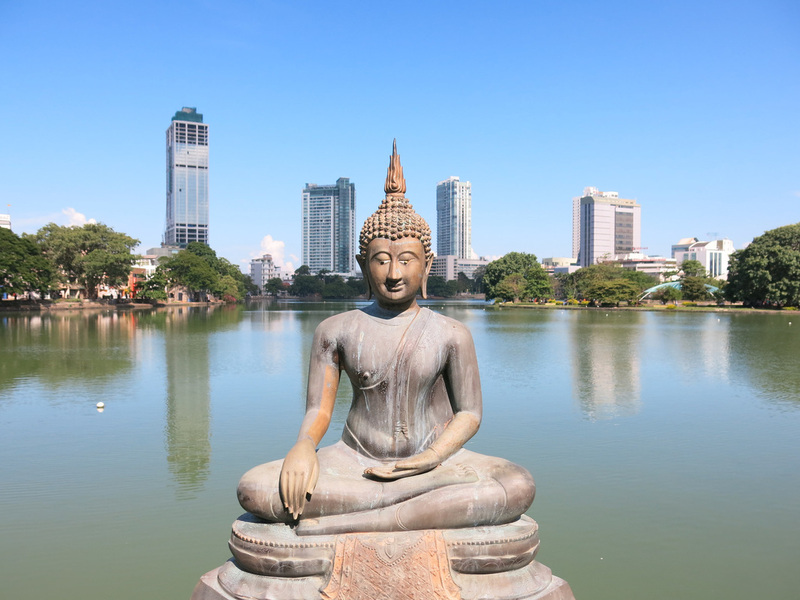 The next two days I explored Colombo. It was the 3K walk to Hansa Coffee that showcased the infrastructure with limited sites. The infrastructure has pleasant aesthetics too - buildings show an individual design and blocks still seem coordinated. Inside the cafe I talked to an Australian that's lived in Colombo for four years and he had very few recommendations on what to see and do, beyond the basics. Hansa prides itself on using locally sourced beans. I ordered a spiced coffee which had an extra kick to it. 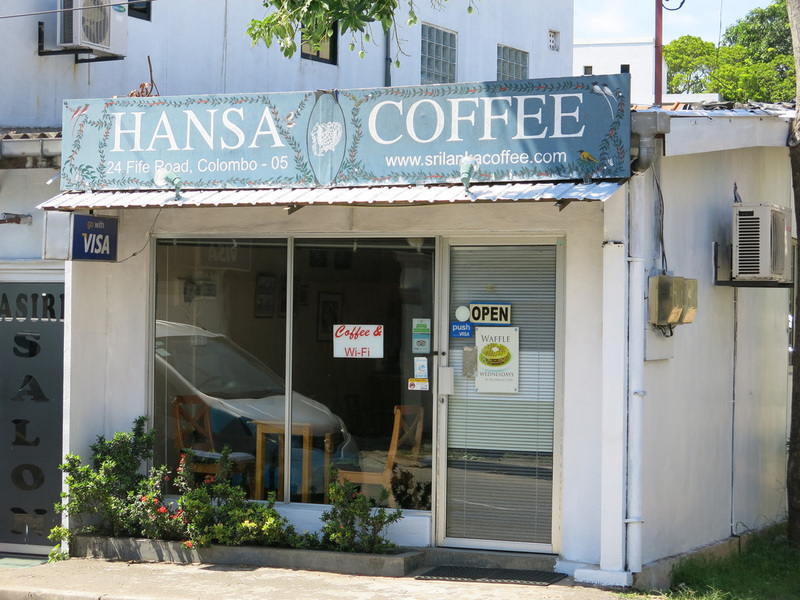 From Hansa I backtracked to the Ceylon Tea Board, which offers a wide range of Sri Lanka's best tea brands. Unfortunately there's no cafe to sample the product. 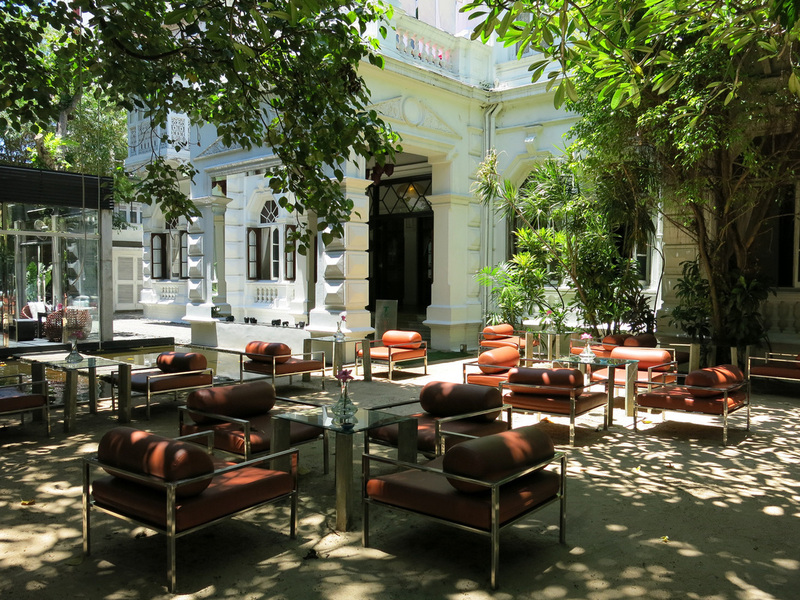 Unbeknownst at the time of selection Casa Colombo is an award winning boutique hotel in a former colonial mansion. 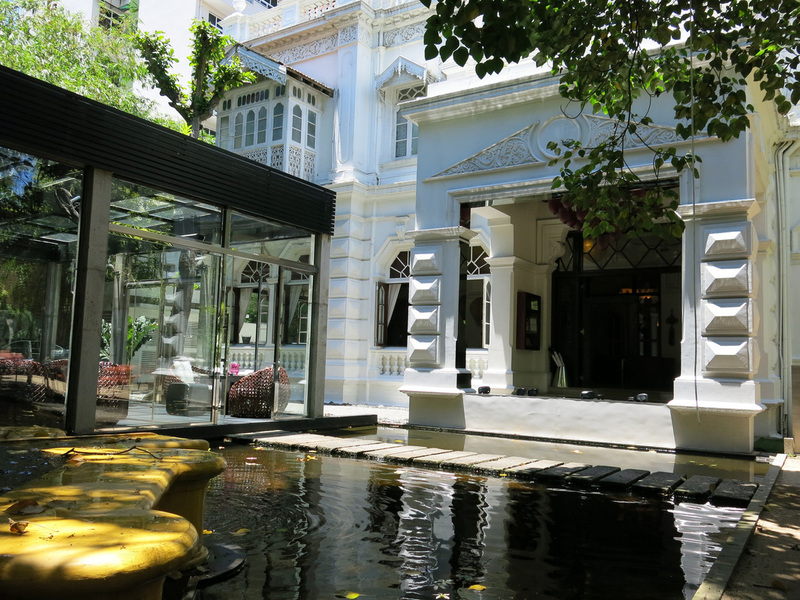 I came here for T Republic, a garden cafe in the hotel's outer courtyard. Long wait for service aside it was a cool setup with lounge chairs set in the shade. The inner courtyard had pool / lounge and the bathroom had the greatest sink I've ever seen. When I turned the knob water cascaded down the wall from twenty feet above - not an efficient use of water especially when you stare and watch in amazement. 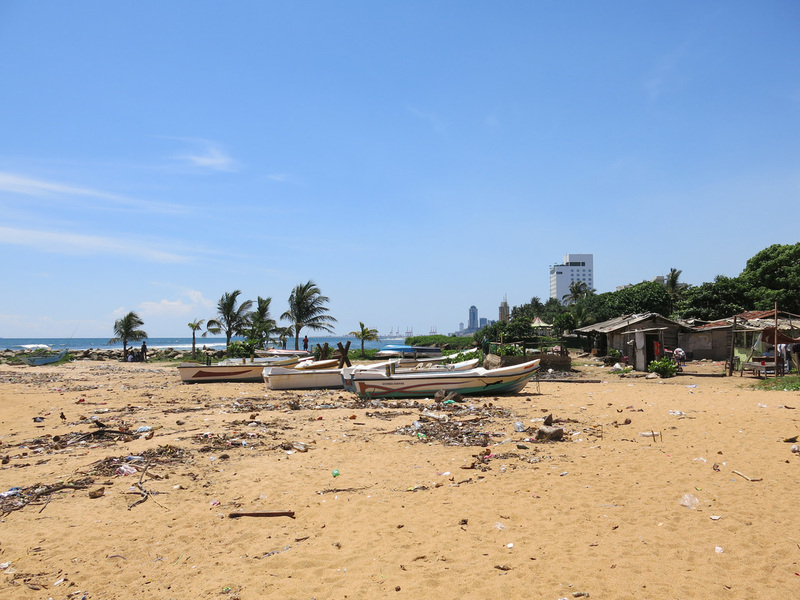 There are several sections of beach south of Colombo's city center. 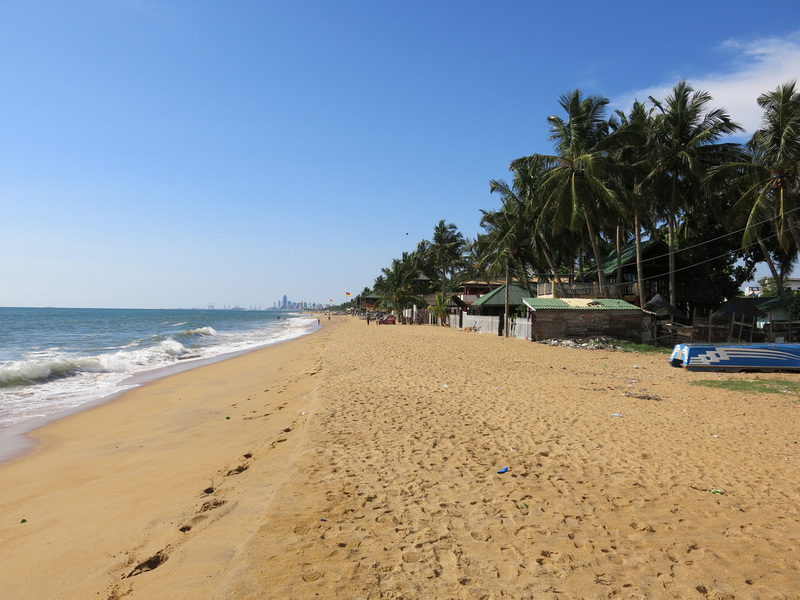 I rode a tuk tuk to the first section and had lunch at Beach Wadiya, supposedly a Sri Lanka celebrity hangout (per unreliable sources). 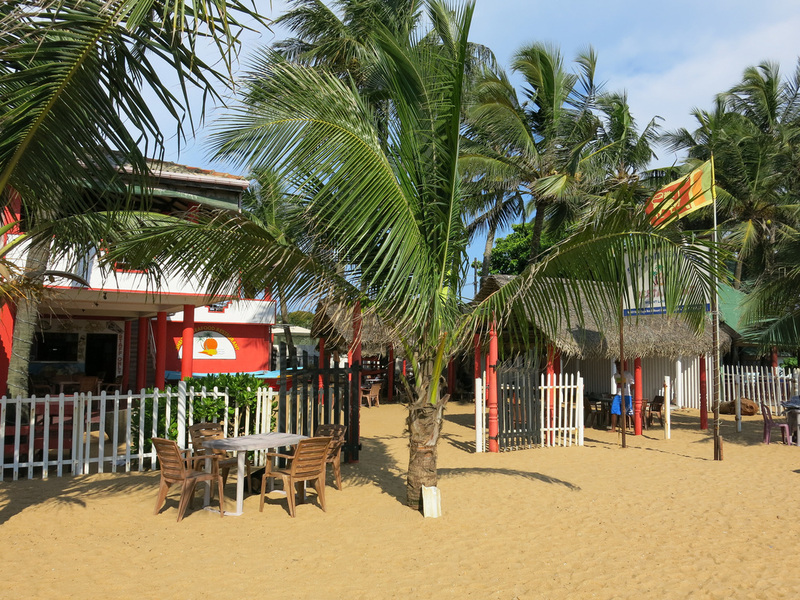 I think it's nice restaurant but the section of beach beyond the restaurant was filled with trash and the dirtiest section I saw of the day. Like all Sri Lankan meals to date the fish I ordered was cooked dry although the complimenting sauce helped to save the dish. 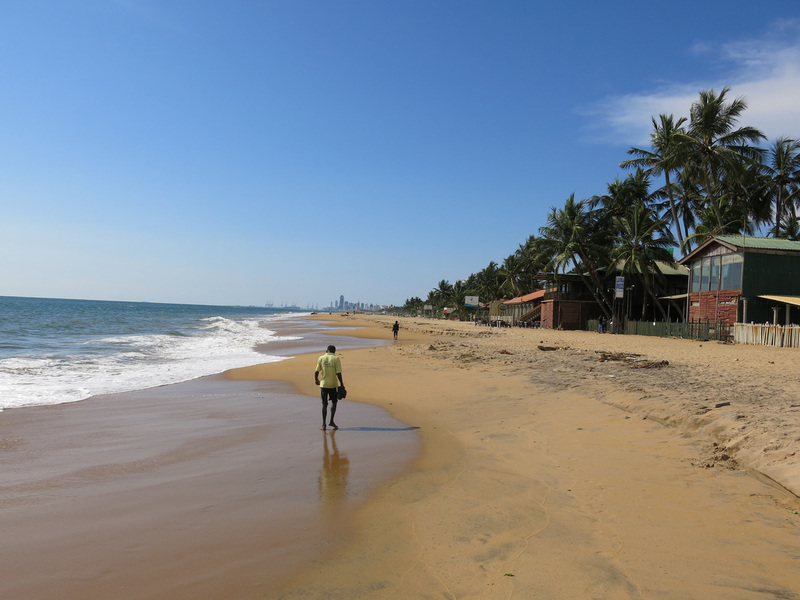 From Beach Wadiya I carefully walked along the dirty beach then jammed myself into a local train. I squeezed out two stops later at Mt. Lavinia. 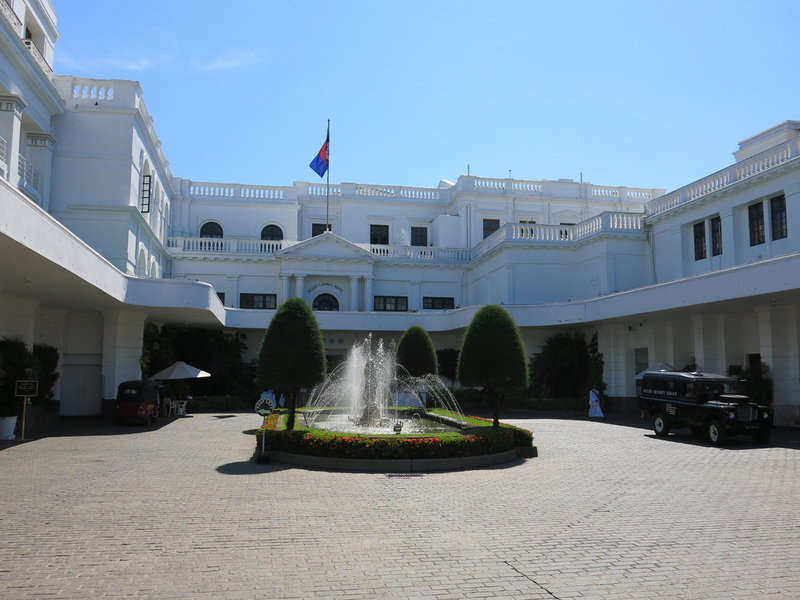 This hotel was the former governor's palace - it's an obscene building for a governor and I can't believe locals weren't outside rioting every morning at the building's extravagance. I made my way out to the pool area and ordered a Lion Lager to savor the views. Mt. 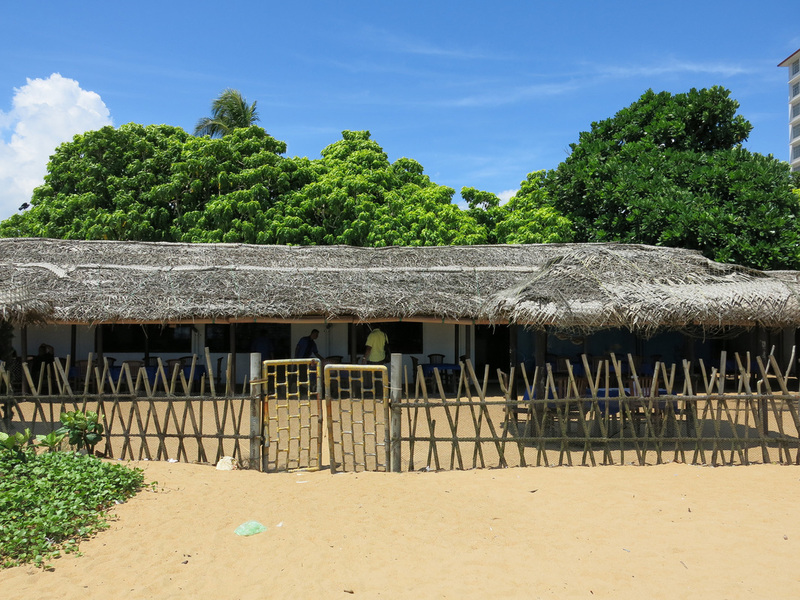 Lavinia is a point along the coast that juts out into the Indian Ocean. 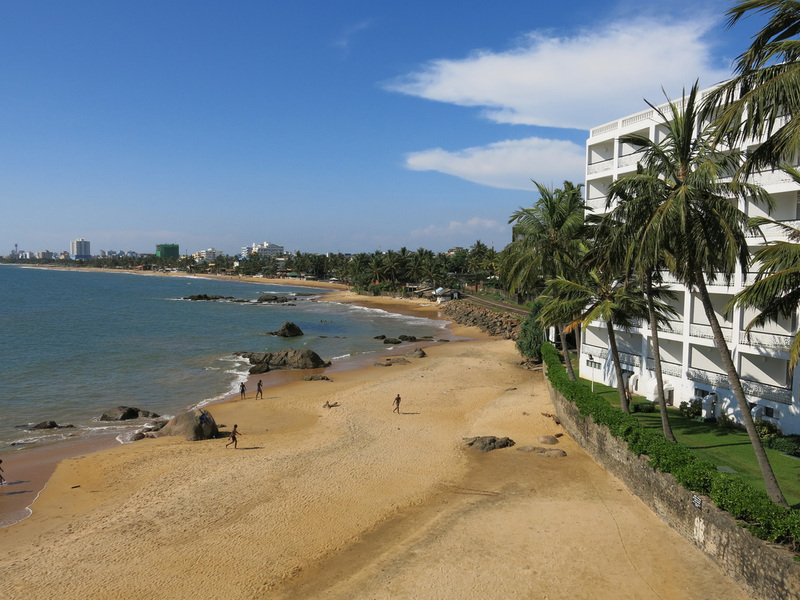 The view north provides an unobstructed view north to Colombo. After Mt. Lavinia I walked along the coast. I passed several more restaurants and hotels. I wish I had eaten a late lunch at one of these places instead of Beach Wadiya. The beach was much cleaner. I have no idea how to reach these restaurants without walking along the beach. The railroad track runs along the backside so there's no direct road access. I eventually made my way to another train station for a ride back into central Colombo. 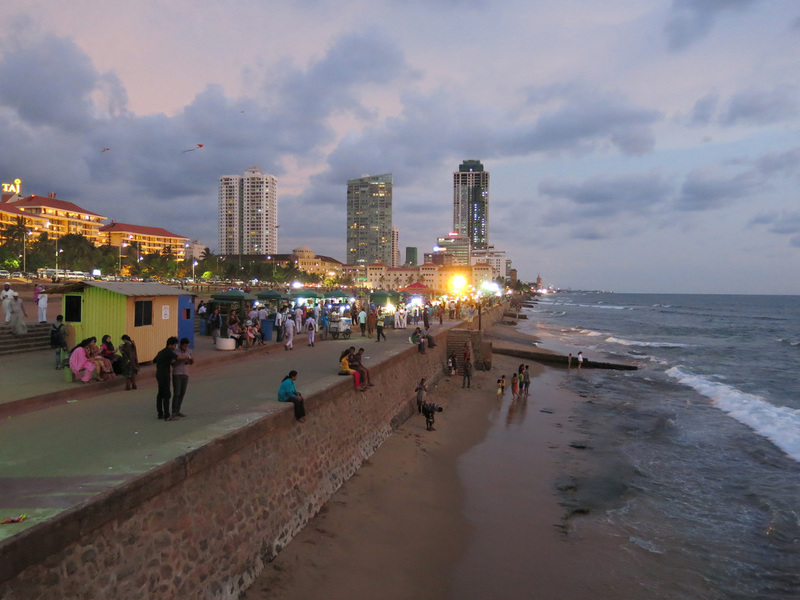 For sunset I went to the outdoor patio at the Galle Face Hotel. This hotel was featured on Anthony Bourdain's No Reservations and has a unique black and white, chessboard courtyard on the backside…unfortunately the courtyard was under construction. It seems that the entire hotel has undergone renovations and it has been restored to its former glory. 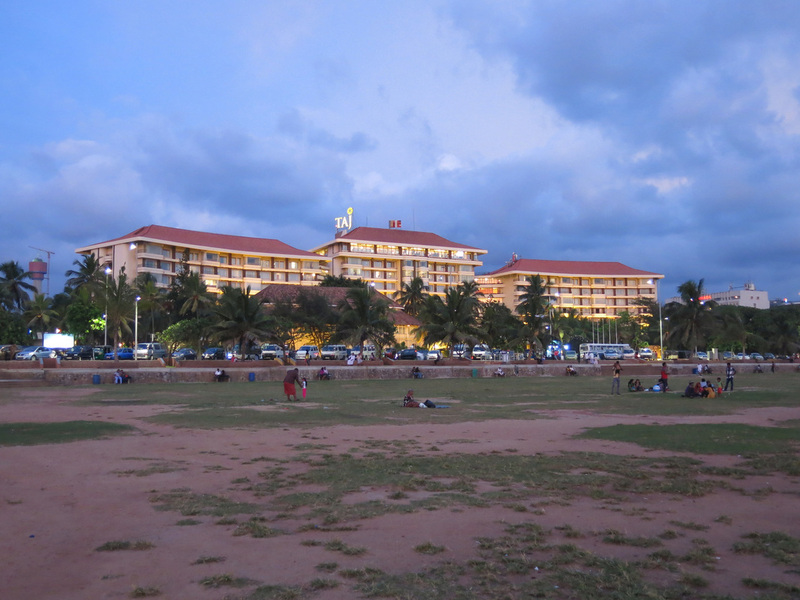 A block up from the Galle Face Hotel is a green public area. At night families gather to dine, swim in the ocean, and fly kites. 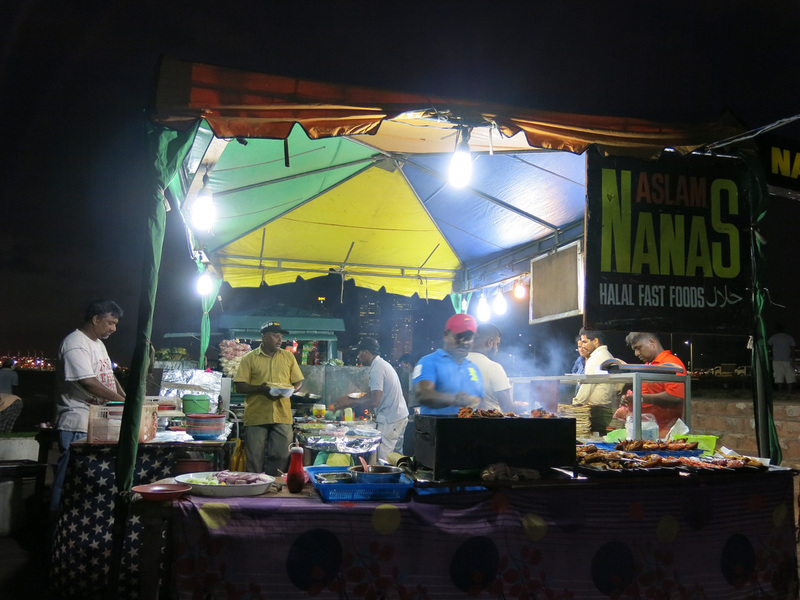 Several food stalls are set up along a seaside promenade. I ordered a BBQ chicken and naan for dinner and once again, continuing with the cuisine tradition both were severely over cooked. I called it an early evening and headed back to the hostel. 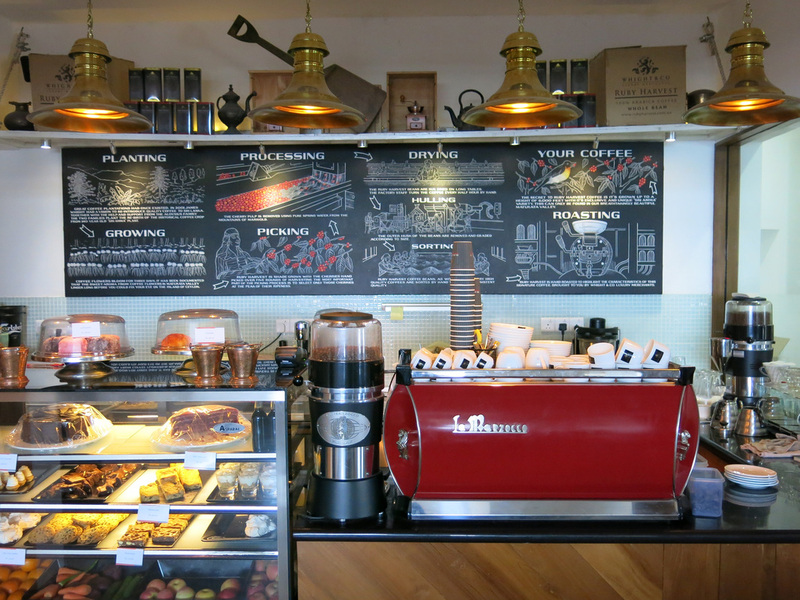 The next morning I walked along Marine Drive to Whight and Co. an upscale coffee shop and cafe. 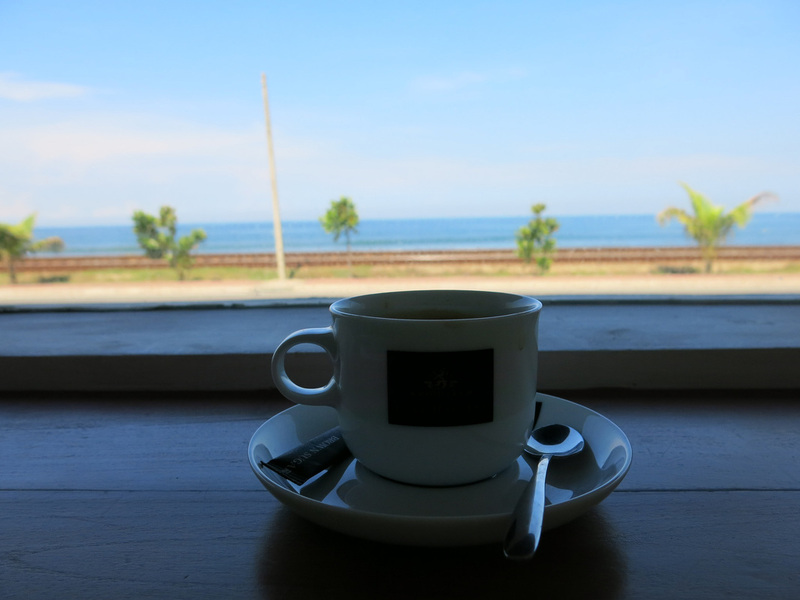 Better coffee, better meals, and better views than Hansa Coffee from the prior morning. A bit more “corporate” feeling - there actually were business people having meetings - but still a relaxing place. 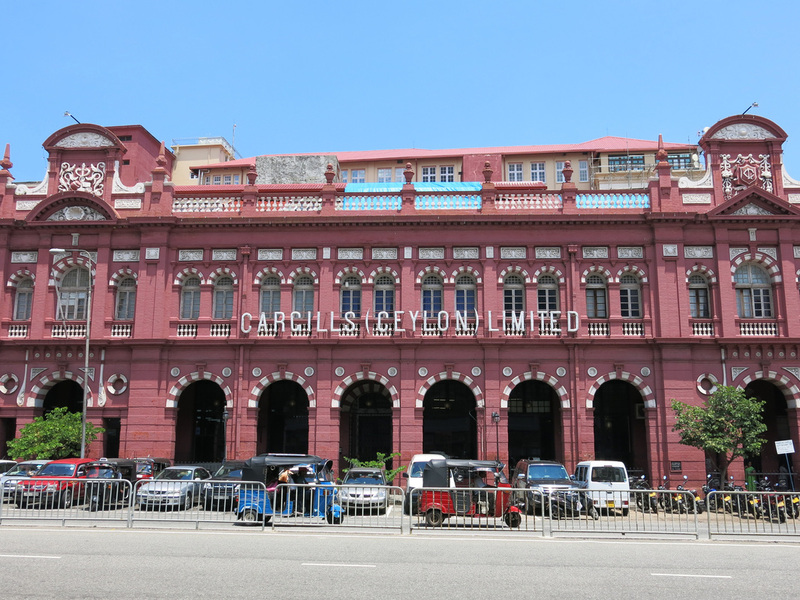 From here I rode the train to Colombo Fort and walked around the Pettah Market area and surrounding side streets. 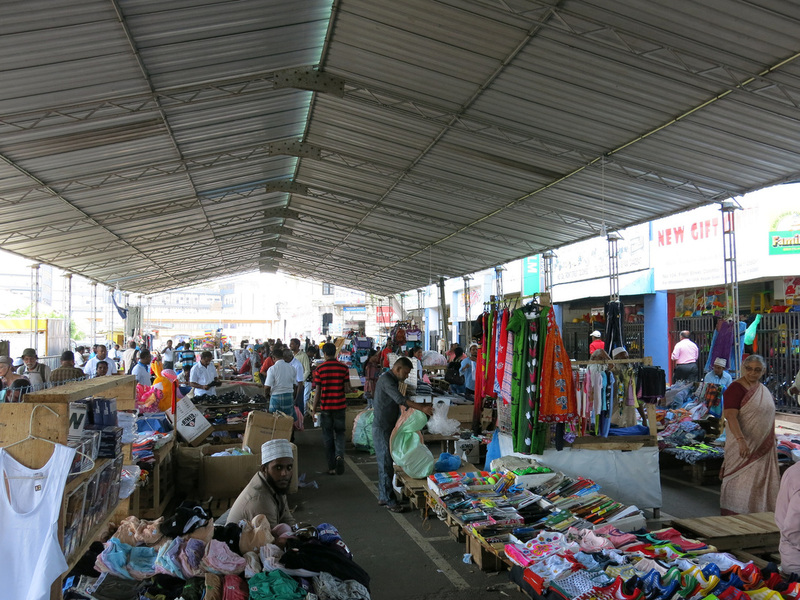 The Market area wasn't anything to special although the surrounding side streets had lots of actions. 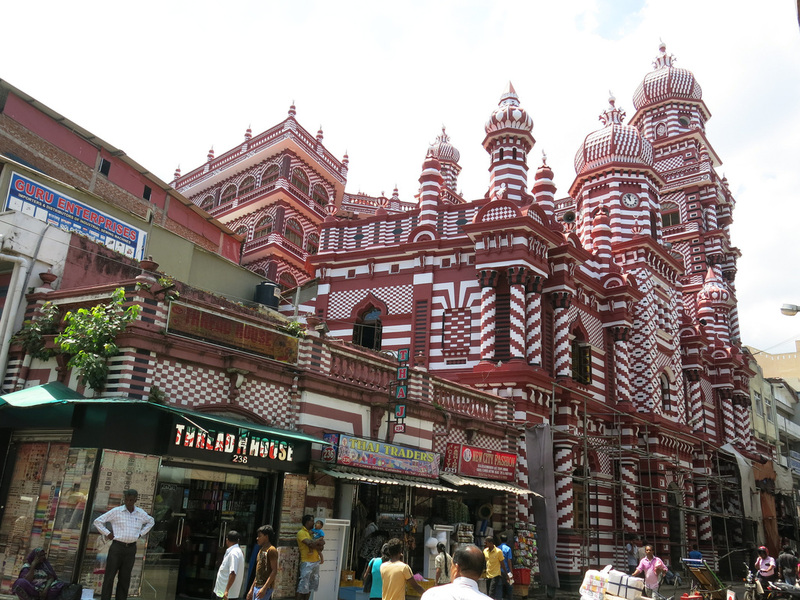 I walked past Jamiul Alfar Masjid, a large and beautiful red and white mosque. 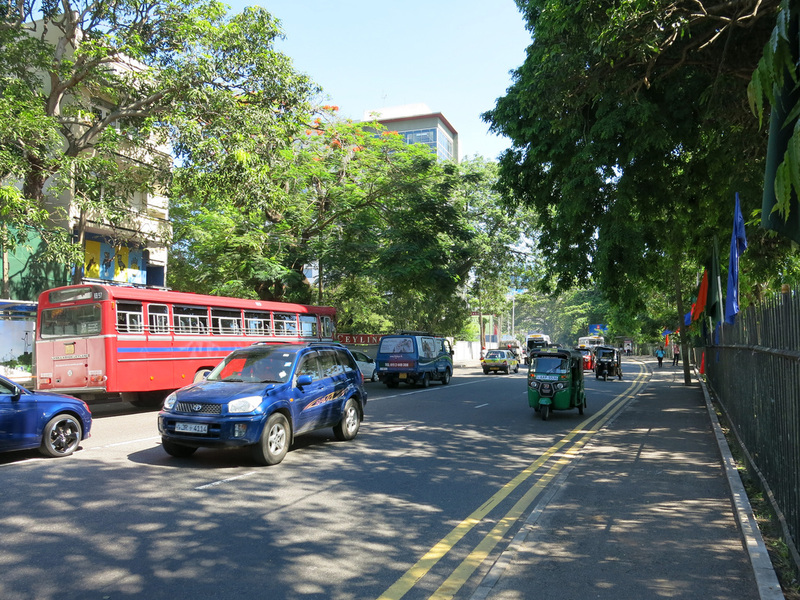 I then walked through the Colombo Fort colonial area. 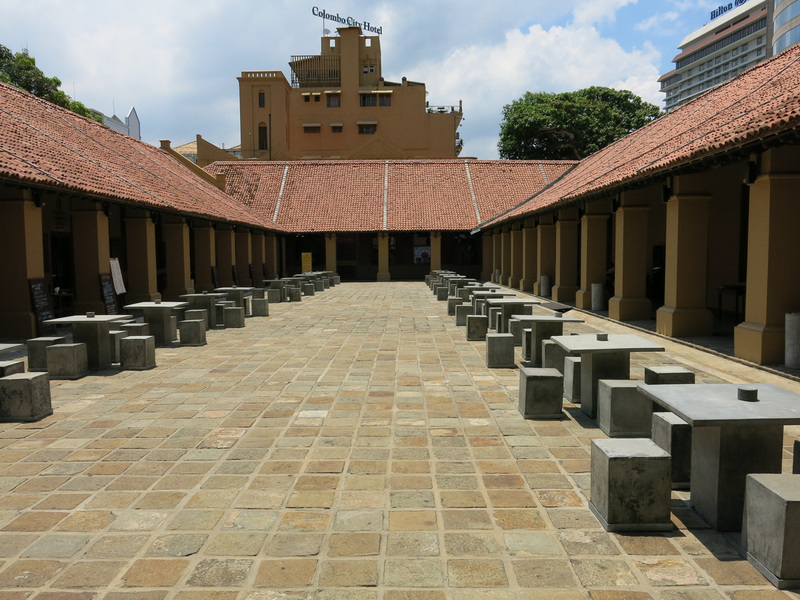 There's a few colonial period buildings still standing and a former Dutch Hospital has been converted into an upscale shopping and dining center. Across the street from the Dutch Hospital are Colombo's twin World Trade Center towers. For all the infrastructure investment there doesn't seem to be too much outside investment. 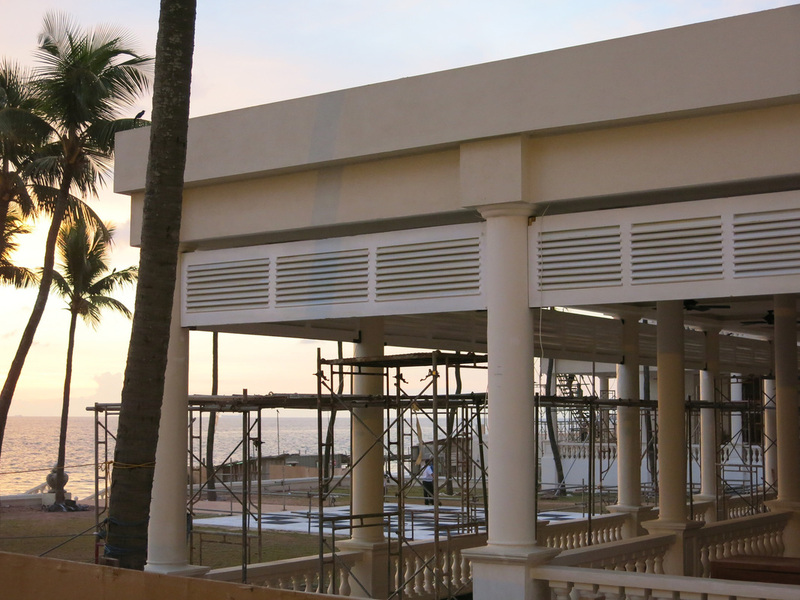 Major chains (Hilton, Marriott) have hotels with some new and fancier hotels under construction along Galle Face Road. Colombo is nice I just can't see where the business and economic activity is to support these new hotels. 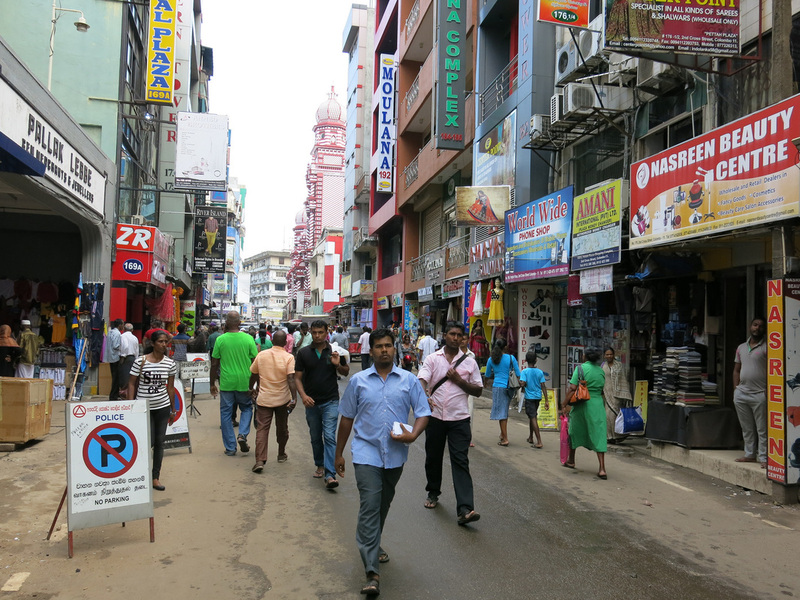 For additional Colombo photos see FLICKR ALBUM.